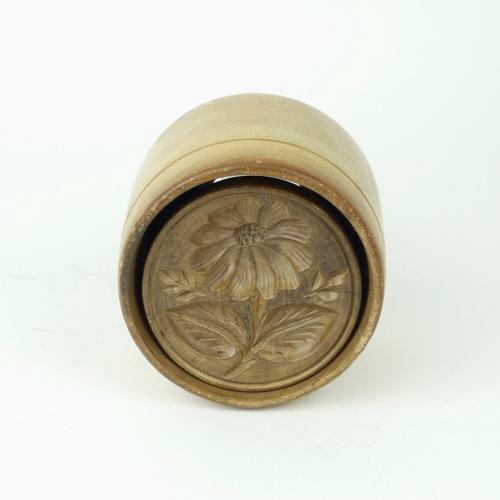 A 19th century, English, butter ejector print carved with a flower and foliage. This type of print would have been filled with butter and then the butter was pushed out, forming a circular block of butter with the design on the top. This print is carved in beechwood. The carving is quite deep and well detailed and it dates from c.1880. It is in excellent condition.